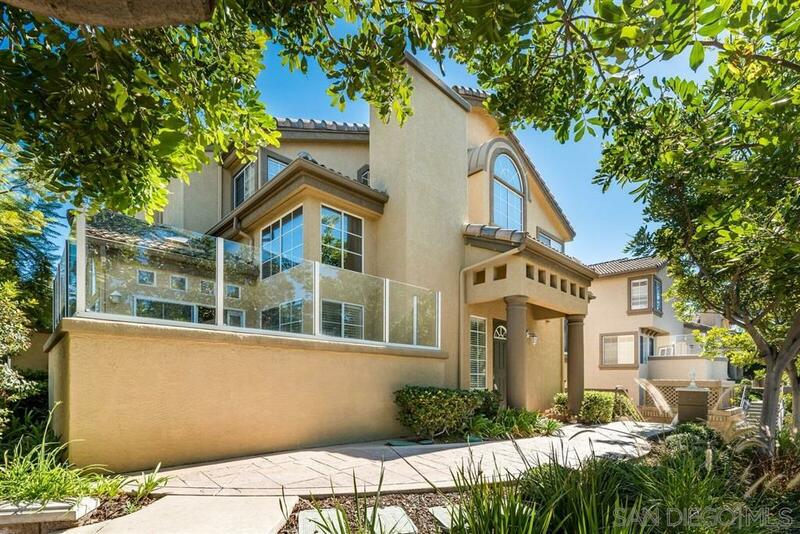 Opportunity knocks with this beautiful 3BR/2.5BA The Crest at Del Mar town-home priced to sell. This most desirable floor plan features walk-in closet in every bedroom, vaulted ceilings, huge storage area under the house, 2 car garage, high ceilings, AC, security system. This light and bright home also offers a enclosed outdoor patio off the kitchen. Raise your kids in this award winning Del Mar Elementary and San Dieguito Union School Districts!, Walking distance to enjoy the soon to come One Paseo center and Del Mar Highlands Town Center. Choose from a plethora of shopping, dining, entertainment, parks. Just Minutes to the famous Del Mar beaches and easy access to freeway I-5 & I-56. Enjoy access to the community pool/spa/gym. Hurry, Come see this gem in the Heart of Carmel Valley before it is gone!